Want slimmer contours without surgery? CoolSculpting® reduces the volume of treated areas by 20 to 25 percent per session. CoolSculpting® at Milwaukee’s ReFresh Aesthetic Center™ gets rid of stubborn fat safely and effectively, without surgery or downtime. This fat-reduction treatment is the most popular non-invasive fat-reduction procedure in the world—and the only one cleared by the FDA to make use of controlled cooling to safely target and eliminate diet- and exercise-resistant fat. CoolSculpting® results have been proven to be both lasting and visible by studies and years of use on both women and men who chose the treatment to get the shape they wanted. How does “freezing away fat” work? The science driving a precision CoolSculpting® treatment is based on the fact that the freezing point for fat cells is a higher temperature than the freezing point for other tissues. 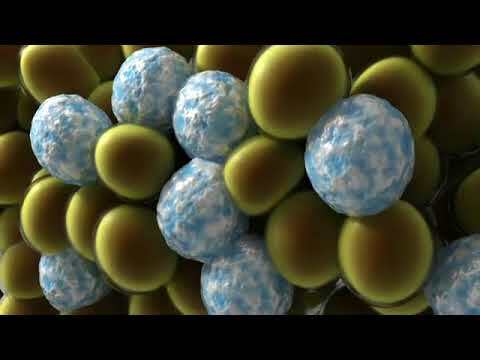 This means fat cells will crystalize before other surrounding cells are damaged when the temperature drops. This crystallization triggers cell death and a process known as cryolipolysis. Over time, your body naturally processes these dead cells, reducing volume in the area and leaving a more sculpted you. Arrange a consultation for CoolSculpting® in Milwaukee today. Contact ReFresh Aesthetic Center™ by calling 414.964.1111 or sending a message online. Your initial consultation is designed to guide the ReFresh Aesthetic Center™ team in developing a customized CoolSculpting® plan that addresses your treatable problem areas. Since multiple sessions may further enhance your contours, CoolSculpting® cost, results, and other details will be discussed at the consultation. Your individualized treatment plan will be tailored to your body, your goals, and your budget. From that point, it’s simply a matter of sitting back, relaxing, and saying goodbye to your unwanted fat. After we select the bulges to be treated, the CoolSculpting® device is positioned on the appropriate area. Once activated, it begins to apply controlled cooling by either pulling the fat between two cooling panels or chilling it directly from a handpiece pressed flat against the surface of the skin, depending on the targeted area. Feel free to read, catch up on a show or email, or even sleep during the session. With no incisions to heal after an entirely nonsurgical CoolSculpting® procedure, you can typically go right back to your normal daily activities after a treatment session, whether that means work, shopping, or managing a busy family schedule. In the following weeks and months, you will see results develop as your body naturally eliminates the dead cells from the treated area and processes the fat. These body-sculpting results are long term. Contact us today to find out if CoolSculpting® is right for you. Results and patient experience may vary. Individuals who are not candidates for CoolSculpting® may be given other options to consider. Anyone who would like to get rid of a diet- and exercise-resistant bulge of fat may be a good candidate for CoolSculpting®. Though it is an alternative to surgical fat reduction, it is not intended to be used as a weight-loss strategy to address obesity. An in-person consultation is the best way to determine whether CoolSculpting® is the ideal treatment for you. There are many variables to weigh when considering CoolSculpting®. Price is one of the most common factors that people ask about. The cost of a treatment depends on the area or areas to be treated, how many sessions are recommended for ideal results, and more. This can all be discussed at a consultation. Since every plan is customized, there is no standard time to expect. The length of a specific session, as well as the total number of sessions necessary, will depend on specifics unique to each individual patient. Treatments work by killing off fat cells, which are processed by the body and do not “return.” These fat cells are considered to be gone forever. How Does a CoolSculpting® Treatment Feel? A session is structured to minimize discomfort, though patients will feel pressure and intense cold when the treatment begins. The intensity of these sensations should fade within minutes, after which patients typically feel comfortable enough to read, enjoy a movie, work, or sleep. The FDA has cleared CoolSculpting® as a safe and effective treatment for several areas around the body—the result of significant study and testing. In the time since, the treatment has been used around the world and now can count more than 1 million applications. Note that patients who suffer from cryoglobulinemia or paroxysmal cold hemoglobinuria should choose a different fat-reduction strategy. Throughout the procedure itself, patients can expect sensations of a deep tugging or pulling, as well as pinching and numbness. In the hours and days after a session, the treated area may continue to cause feelings of firmness, numbness, tingling, stinging, or even pain, as well as appear red, swollen, and bruised. This should all be temporary. There are possible rare side effects, which can be discussed during a consultation. How Soon Can Normal Activities Resume After a Treatment? Patients who are feeling up to it can return to their typical lifestyle right away after a session. Since there are no sutures or incisions, there is no concern common to surgical treatments. Fat reduction via CoolSculpting® is a gradual process. Changes may start to be visible after about three weeks, though the most dramatic results typically take about two months to appear. The treated areas can continue to slim down for four to six months. Are Supplements or Strict Diets and Exercise Necessary After CoolSculpting®? Results are best maintained by a healthy lifestyle, but there are no special after-care instructions necessary after a treatment. That said, some patients are inspired to improve their diet and activity levels after seeing their new contours. What Happens if I Gain Weight Later? Weight loss and gain is unique from person to person. Patients who do grow significantly heavier after achieving their ideal CoolSculpting® results may notice that the fat appears more evenly spread across their body, as opposed to “collecting” in the treated area. Ready for your CoolSculpting® session in Milwaukee? Call ReFresh Aesthetic Center™ at 414.964.1111 or send a message online.